| Snow Badua - PBA Latest Updates! Ginebra’s urgent need for a pure shooter might just be addressed soon, if plans to re-acquire KG Canaleta pushes through within the next few days. 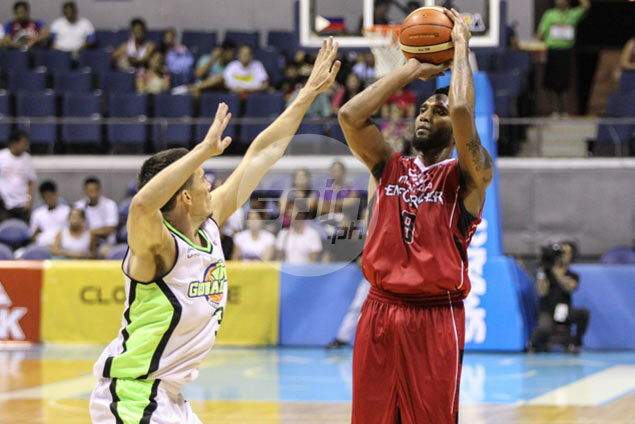 Sources told SnowBadua.com that the high flying Gerona, Tarlac pride has an expiring contract with the Mahindra Enforcers this coming August 31. The problem is, Canaleta receives a maximum of 420-thousand a month from his old contract with the NLEX Road Warriors. In the earlier stages of negotiations, sources say that the Columbian Autocar Corporation can only give Canaleta a contract renewal of 220-thousand a month, a huge cut from his current paycheck. “Nag-uusap na sila, kasi yung dating contract ni KG before he was traded to Mahindra, sinagot na ng NLEX yung ibang amount sa contract nya, halos kalahati na lang ang binabayaran dun ng Mahindra,” said the source. “Ang problema ngayon, hindi kaya ng Mahindra na ibigay ang maximum kasi this time, sila na ang solong magbabayad nang buo sa kontrata ni KG. Kasi tapos nang i-honor ng NLEX yung contract niya with them. Bayad na yun before pa siya ma-trade,” he added. Even before Canaleta was shipped to Mahindra, Ginebra has long been eyeing the former UE Red Warriors star, as he will be a good fit to the complex triangle offense of coach Tim Cone. And the fact that the five-time All Stars slam dunk champion can wax hot anytime at the three point line, Canaleta will be a much needed piece to further make the triangle offense tick. As of the moment, Mahindra big boss Bobby Rosales wants to keep Canaleta atleast until after the season ends, as the PBA already informed all teams that contracts expiring on August 31 will be given a 2-month extension. Meanwhile, another source bared that Globalport is also pursuing Canaleta, but Rosales has already declined the offer especially now that the Enforcers are on franchise best 3-0 win-loss start to top the team standings. “Malalaman natin within the week yan. Sa ngayon kasi ayaw pa ni Bobby Rosales na galawin ang team kasi nagpapanalo sila. Pero naiisip rin ni Mr. Rosales yung kapakanan ni KG, kaya malalaman natin kung they will release agad o papakiusapan pa na tapusin na muna yung conference,” he said. “Definitely, malaking bagay sa rotation ng Mahindra si KG,” he added. Ginebra is set to let go of the inefficient Nico Salva plus a future pick just to get its hands on Canaleta.